Entrena Klett, Miguel                1           Grupo 27        1. 1. Tte Miguel Entrena Klett claimed 1 Lockheed P-38 "Lightning", 12th United States Army Air Force, on 3 March 1943 while flying He-112 (5.68). Heinkel He 112B-2, 5-68, 1 Escuadrilla, Grupo de Caza 27, pilot tienente Miguel Enterna Klett. On 3rd March 1943 flew this a/c he forced to land P-38 of 12th USAAF, 14th FG after aerial combat over Spanish Morocco. 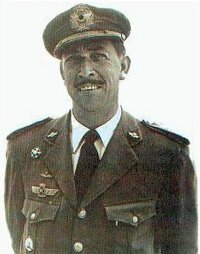 Heidkamp, Wilhelm: El Teniente Miguel Entrena y uu Heinkel, http://www.pegatiros.com/reportajes/aviacion/Heinkel/index.htm. Heinkel He 112 operational service, Wikipedia, the free encyclopedia, http://en.wikipedia.org/wiki/Heinkel_He_112_operational_service. Polák, Tomáš: Španělské flamengo nad ruskými pláněmi, in Plastic Kits Revue, No. 15, 1993. Spanish Air Force during the WWII, Aircraft of World War II - Warbird Forums http://www.ww2aircraft.net/forum/aircraft-pictures/spanish-air-force-during-wwii-23660.html.